We are dedicated to providing courtesy and helpfulness as indispensable ingredients to patient care. We realize that these qualities strongly influence our patients' recovery as well as the desire for future care. 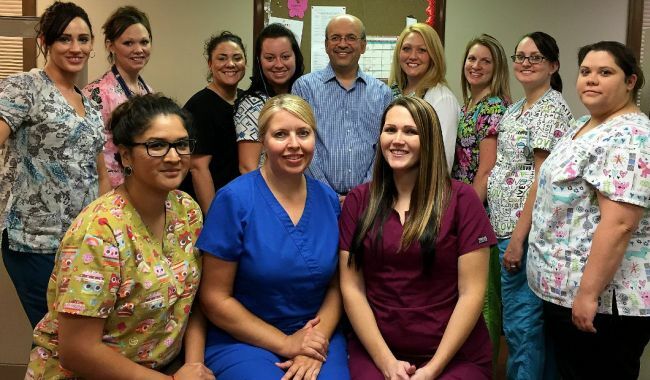 Our goal is to provide quality, safe, efficient and effective medical and procedural services in a environment which is warm and friendly to the patients. Dr. Vasantha Pai, MD, has been practicing Gastroenterology and Hepatology in Belleville, IL since 1998. He is board certified in Internal Medicine and Gastroenterology. After obtaining his medical degree from Kasturba Medical College in India, he practiced in the United Kingdom and was a member of the Royal College of Physicians, London. He completed his Gastroenterology fellowship training at the State University of New York, Brooklyn in 1998. He is a clinical assistant professor at St. Louis University and is on the voluntary teaching faculty. Residents of St Louis University family practice program have awarded him "faculty of the year" multiple times. Dr. Pai is a devoted husband and father, with two boys working on the coasts. He enjoys news, movies, and spending time with his family and friends. 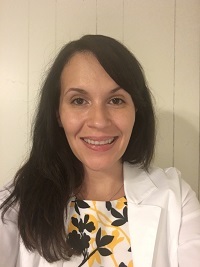 Ashley McIntyre, MSN, FNP-C, graduated from Barnes Jewish College of Nursing with a Bachelor of Science in Nursing, and received her Masters in Nursing/ Family Health Nurse Practitioner from Maryville University. She is certified by the American Academy of Nurse Practitioners and is a member of the Sigma Theta Tau honors society, as well as the American Association of Nurse Practitioners. She previously worked at Barnes Jewish hospital in a surgical ICU step down unit. She is excited to begin her Nurse Practitioner Career in Gastroenterology. She has a special interest in treating and managing care of patients with inflammatory bowel disease. On her off time she enjoys spending time with her husband and their two dogs, as well as traveling, and spending time with family. She has an identical twin sister who is also a Nurse Practitioner in Florida. 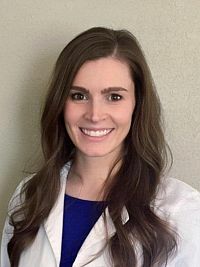 Audrey Beckmann, MSPA, PA-C, graduated from University of Missouri with a Bachelor of Science in Biochemistry and received her Master of Science in Physician Assistant Studies from Southern Illinois University Carbondale. She is certified by the NCCPA and is a member of Pi Alpha National Honor Society, as well as the American Academy of Physician Assistants. Audrey has previous experience in emergency medicine. She is excited to begin her PA career in gastroenterology. In her free time, she enjoys cooking, traveling, and spending time with family and friends.